Bude Tamar Boxing Club is amateur boxing club for any one to join, any age or ability. When Ross approached me to do a poster design, Ross already had a strong idea of how he wanted it to look. This can sometimes make my job difficult as it’s hard to recreate exactly what a client has in their head. 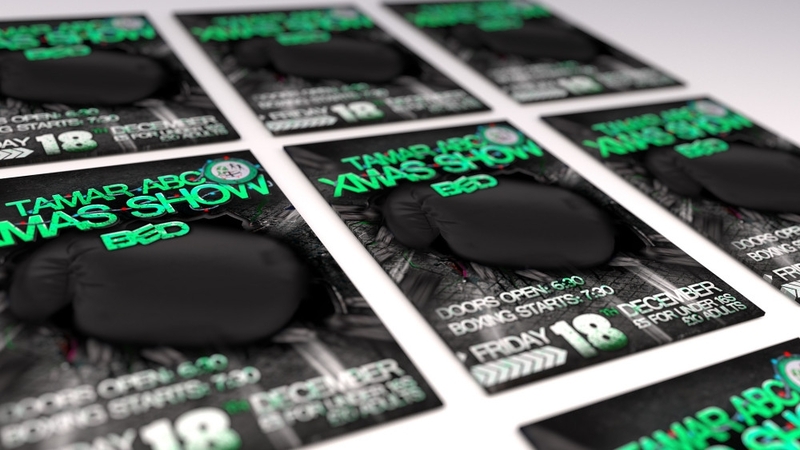 The requirement was to design a poster to advertise the Christmas Boxing event but to have a quirky design. After some research, It soon became obvious that most boxing designs involve pictures of boxers fighting. But as Ross was looking for something different. I decided to utilise the bricks from the venue with a boxer punching/smashing through the bricks. You have indeed outstripped all my requests and I thank you very much…I may truly say that I have noticed the variety of your portfolio with a great interest. You are, as far as I am able to form an opinion, in an eminent sense, and in a degree with which few can compete, a most talented web designer. I should myself long ago have carried to you my custom as I am most impressed with the new web page you have created for me.